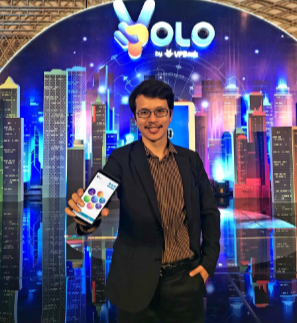 Vietnam’s mid-tier banking player, Vietnam Prosperity Bank (VPBank), has unveiled its digital brand Yolo. It has been launched as a separate business product letting “youngsters and other active people experience a new digital lifestyle”. Earlier in 2016, VPBank appointed a new CIO, Igor Mushakov. He moved from Russia, where he held senior technology roles at Uralsib Bank, Sberbank and most recently X5 Retail Group. Mushakov says Yolo will offer lending, savings, payments and Mastercard. Yolo will offer “unlimited connectivity” to lifestyle service providers, so the idea is to get users all excitable by calling a taxi, ordering food, listening to music, watching a movie and booking flights. VPBank will also sign a co-operation agreement with Vinaphone – owner of the Vpoint, a point accumulation system with more than 3,000 stores and “millions of members”. According to the agreement, Yolo users only need one Vpoint account to get benefits at all partners’ stores. In exchange, Vpoint users can also get Yolo digital bank’s modern features. Yolo should not be confused with the tech firm of the same name. Back in July, that Yolo helped Milan-based insurtech Rendimax launch into the market as a digital insurance marketplace.